NBA Jerseys Can Bear Advertising Logos, League Says : The Two-Way Starting in 2017, NBA players will see two new logos on their jerseys: one from Nike, and another from corporate sponsors that make deals with each team. 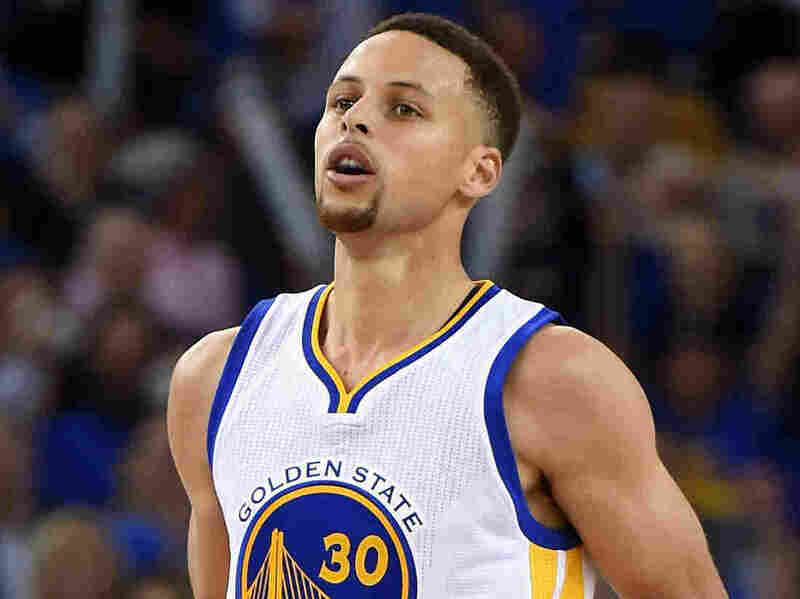 Stephen Curry's jersey is patch-free, but NBA players soon will sport corporate sponsorship logos on the front of their jerseys, near the shoulder. The 30 teams in the NBA will soon be opening a new revenue stream: their jerseys. The league's board of governors approved the sale of sponsorship patches Friday morning, clearing the way for sponsors' logos to appear on jerseys for the 2017-2018 season. The corporate logos will be about 2.5 inches square and will appear on the left shoulder — opposite Nike's swoosh symbol, which will also be added to jerseys in 2017, under a deal that was signed last summer. Unlike that leaguewide apparel sponsor, each NBA team will be allowed to sell its own jersey sponsorships. "Jersey sponsorships provide deeper engagement with partners looking to build a unique association with our teams," says NBA Commissioner Adam Silver, "and the additional investment will help grow the game in exciting new ways." As for the player jerseys that fans buy, the league says the sponsor patch won't be included on mass-market retail jerseys — but that teams will be able to sell versions with the patch in their own stores. Silver says the move is a three-year trial of the new sponsorship. The league's planning committee has been discussing the move with the NBA's teams for years now — and in a special deal for February's All-Star game, the players' jerseys included the logo of the carmaker Kia, as ESPN reported.